Wine attracts clever sayings and memorable quotes from various people, some more famous than others. Politicians, writers, poets, philosophers, artists or wine enthusiasts, they all use wine quotes to share the true meaning of wine. Here are some of my favorite wine quotes & wine sayings. • “Less whine – More wine” – Anonymous / SWAG IT OUT! • “This may be the wine talking but I love wine!” – Anonymous / SWAG IT OUT! • “Love the wine you’re with.” – Anonymous / SWAG IT OUT! • Wine was once said to have purifying qualities, both for the body and for the soul. Postumia more tipsy than the tipsy grape. she who’s juicier than the juicy grape. far off, wherever, be off to the strict. Would you like to see those wine quotes adapted to funny graphics? 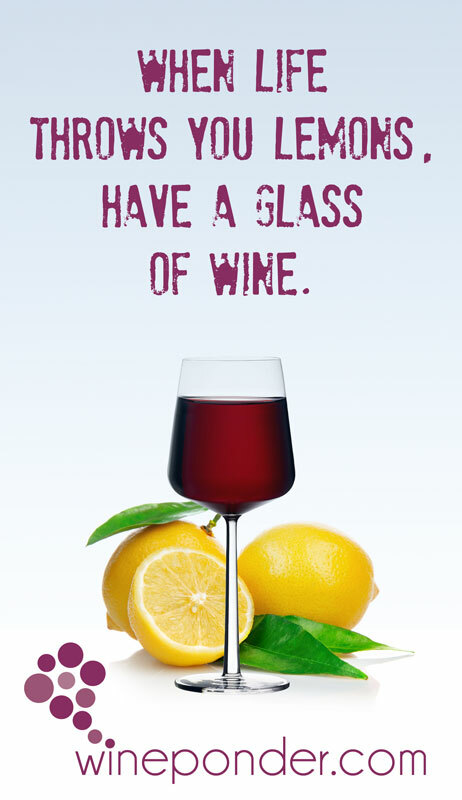 Like us on Facebook, follow us on Google+ , Twitter and Pinterest, and find those wine quotes along with clever graphics.